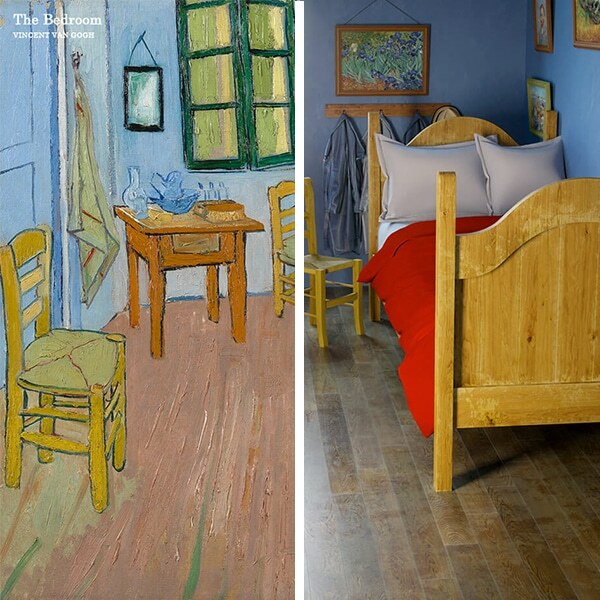 Some kids just won’t sleep in their own bed—they much prefer the coziness of their parents’ bunk. 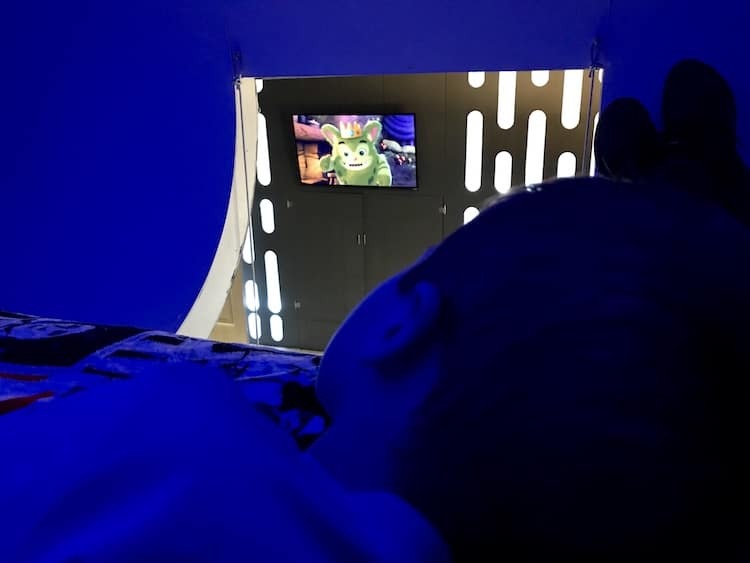 Grownups who want some privacy have to get creative to ensure that their offspring will spend the night in their room. 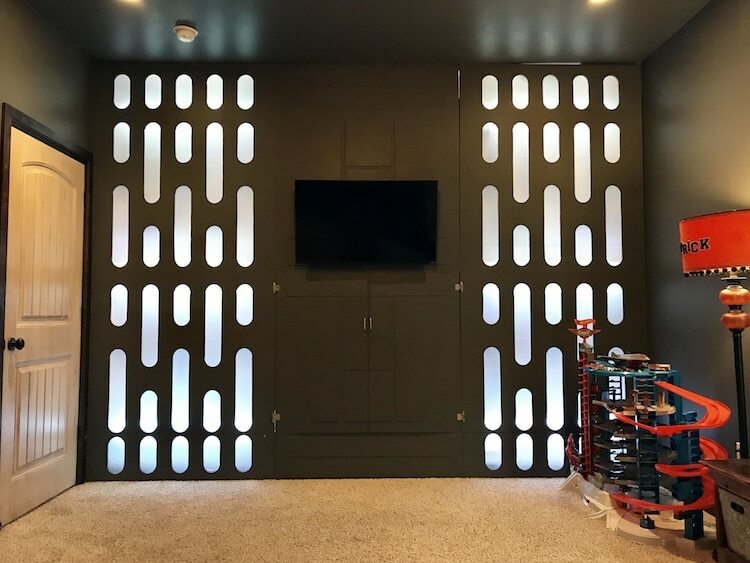 Redditor Dericrw and his wife certainly sweetened the deal with their version of a Star Wars bedroom. 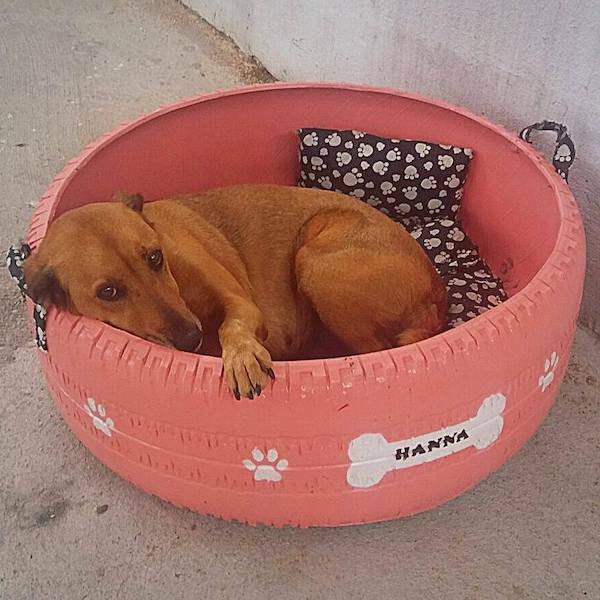 Together, they built a sleeping pod modeled after the Millennium Falcon. 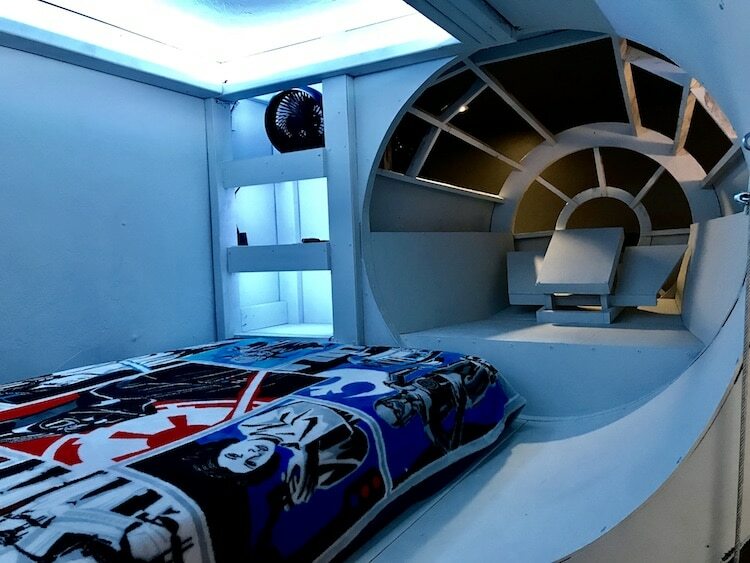 Inside, it holds a twin-sized bed, television, and of course, NERF guns and lightsabers to fend off any bad dreams. 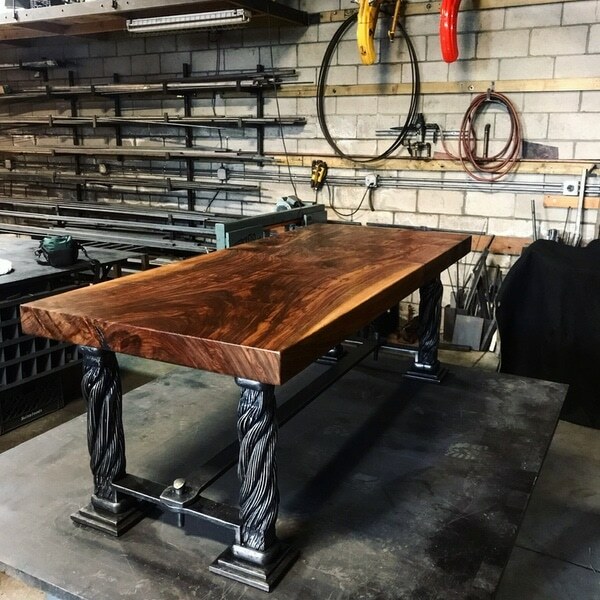 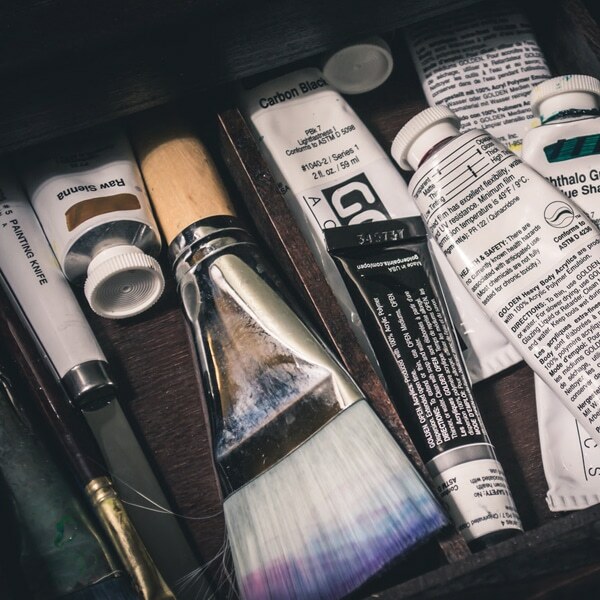 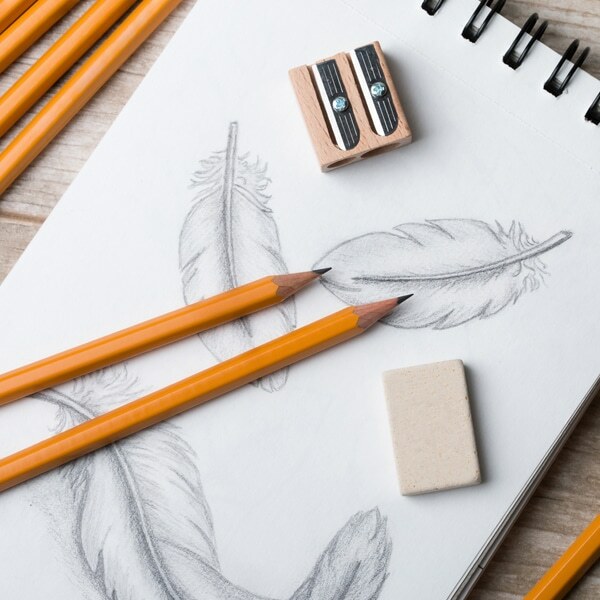 Dericrw, who also works under the name Oklahoma Kid Designs, is relatively mum on how they constructed the bedroom furniture. 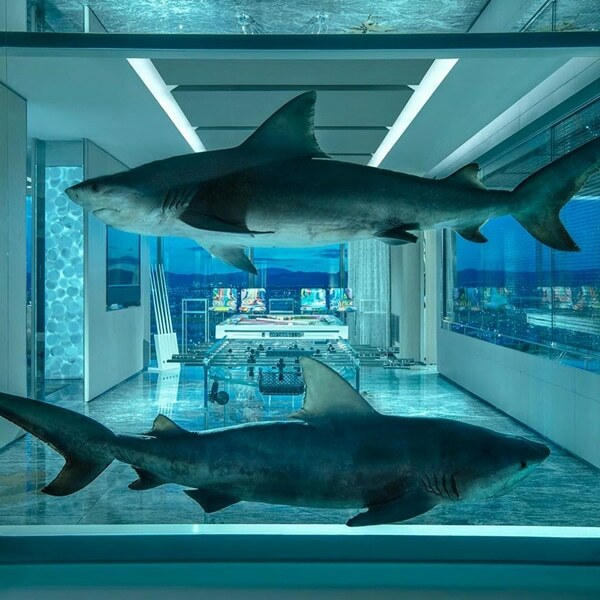 He does, however, reveal that the pod is suspended five feet off the floor and the interior space is four feet tall, 10 feet long, and approximately five feet wide. 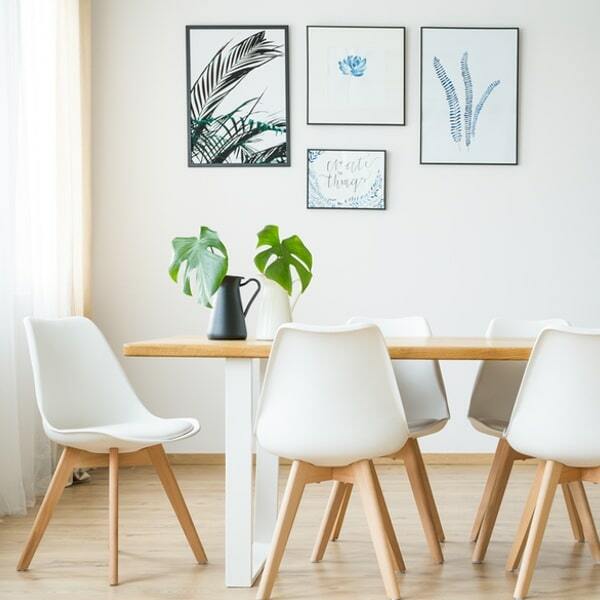 The interior is outfitted with color-changing lights and a fan for air circulation, making it a cozy space to sleep or just relax. 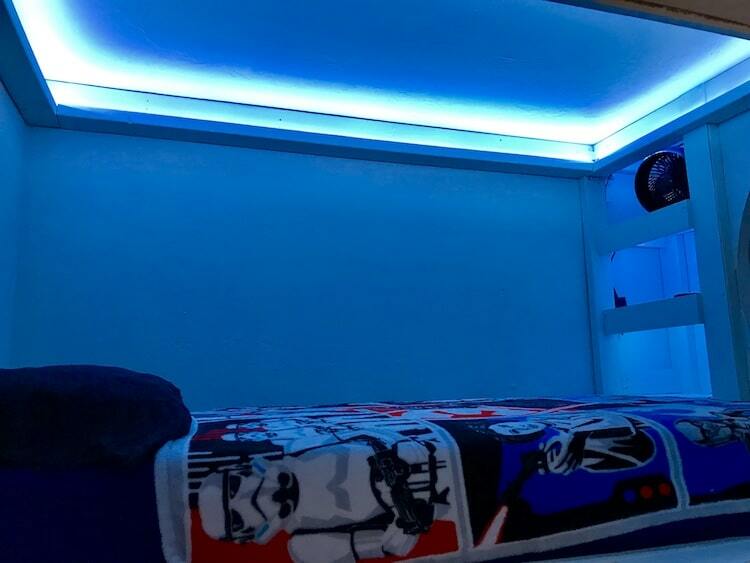 The Star Wars-themed bedroom has another clever touch. 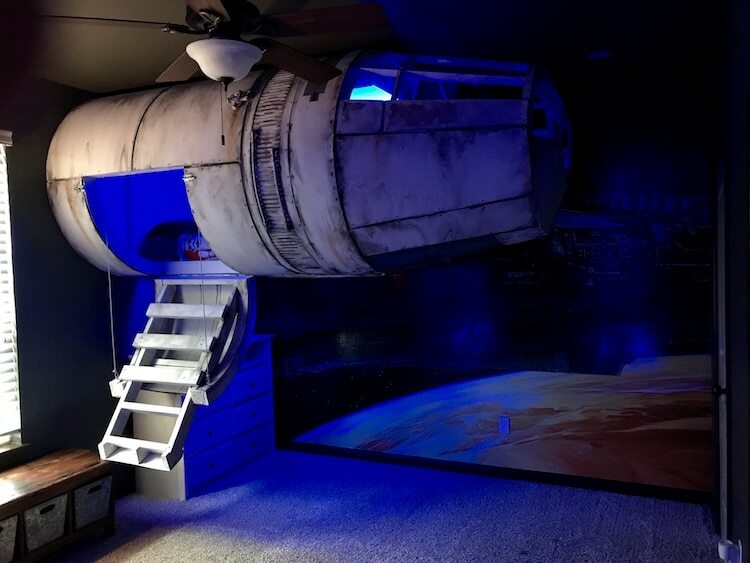 Because it’d be nearly impossible to recreate the entire Millenium Falcon in a room that size, Dericrw and his wife opted to build just one part of the ship. 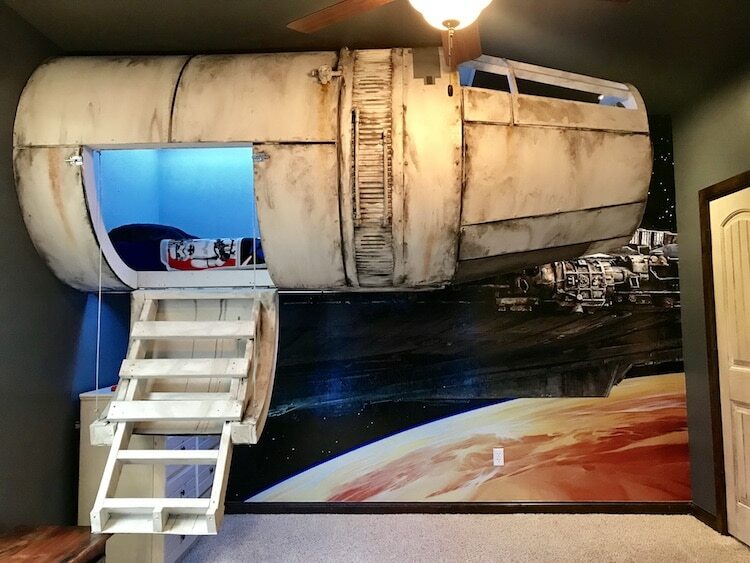 They bolted it to the ceiling joists and lined it up with a vinyl mural of the ship that covers the entire wall. 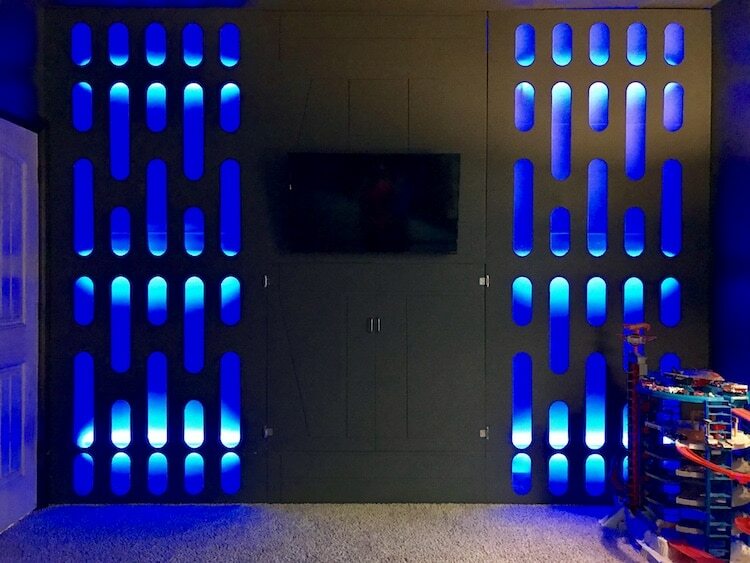 The result looks like the whole ship is about to emerge from the wall and fly into hyperspace. 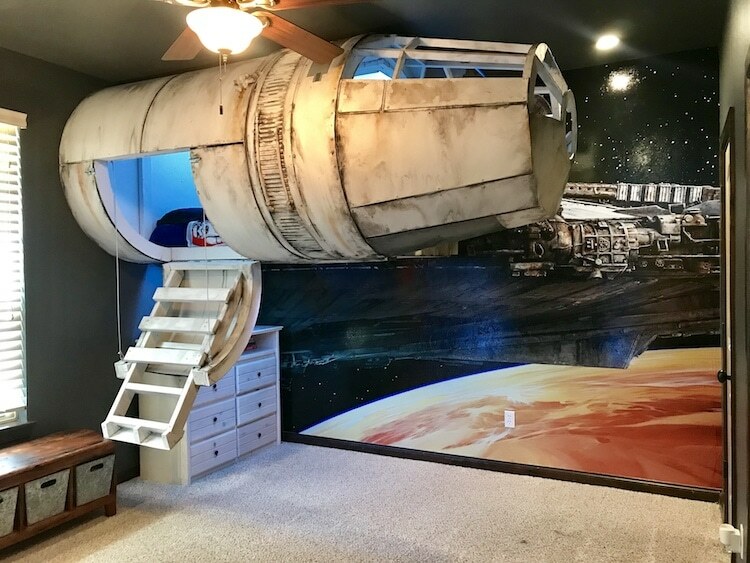 Redditor Dericrw and his wife constructed a Star Wars bedroom for their son, in hopes that he’ll sleep in his own bed. 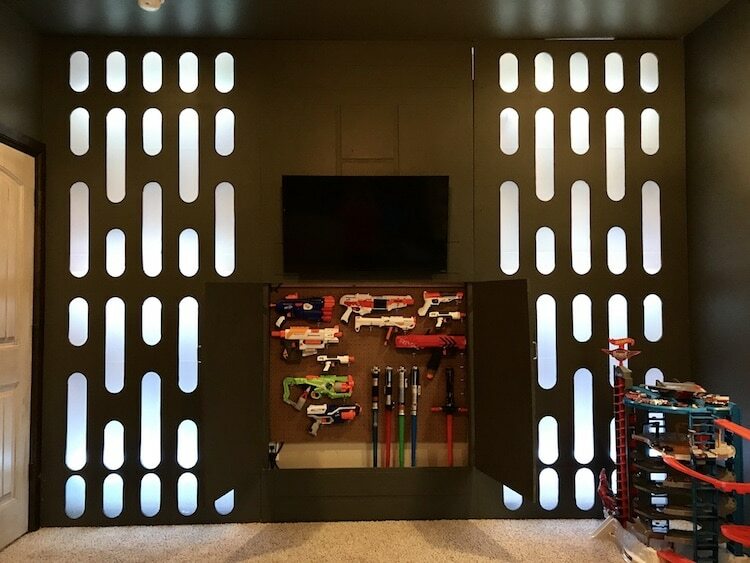 … and a cache of NERF guns and lightsabers.